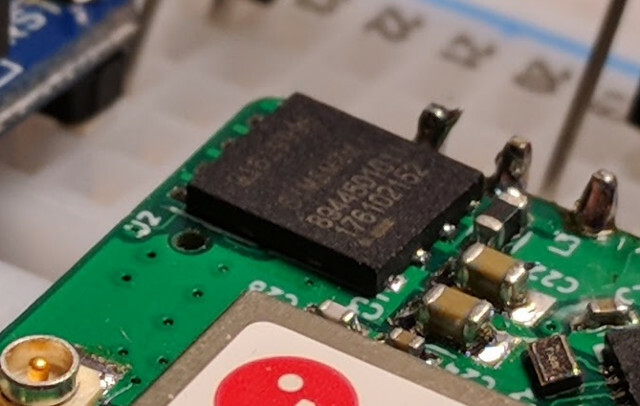 Hologram provides a SIM card for IoT projects that can be used in most of the world, and I own a developer SIM card that’s very convenient for reviews and evaluation with 10MB free data per month, which I used for example in a recent 3G HAT board for Raspberry Pi. The company also manage network by software, so they were on of the first SIM providers to enable 4G LTE Cat M1 and NB-IoT without changing anything to the SIM card itself. Since everything is programmable, not tied to any specific service provider, the SIM card form factors may not be the most convenient, and instead for a lower form factor, and possibly better reliability Hologram eSIM based on MFF2 form factor may be a better solution for new projects. The chip measures just 6x5mm with 0.67mm thickness, and would be soldered on the board of your cellular IoT node(s). The eSIM supports 2G/GPRS, 3G HSPDA, 4G LTE, works in -40°C ~ 105°C temperature range, offers at least 25 years of data retention at 25°C, and can handle at least 200 millions read/write cycles. The eSIM works just like regular SIM card with UICC and IMS unique identifiers programmed. The chip does not support eUICC (embedded Universal Circuit Card) yet allowing reprogramming over the air (OTA), but this is not really a must-have feature when using Hologram software defined network. Hologram eSIM can be pre-ordered for $375 in pack of 50 ($7.5 per chip). You may save on external components, and get a smaller PCB size, but Hologram (industrial grade) eSIM chips are almost double the price of regular Hologram SIM cards ($400 for 100 units), and roughly the same price as their industrial grade SIM cards ($75 for 10 units).